My cold seems to maybe be getting a bit better. It’s been dragging on almost a week now. Today I finally got done work done and planted my cucumber and winter squash seeds. One tray each. Also up potted 4 or 5 types of flowers and brought them down to my new greenhouse. 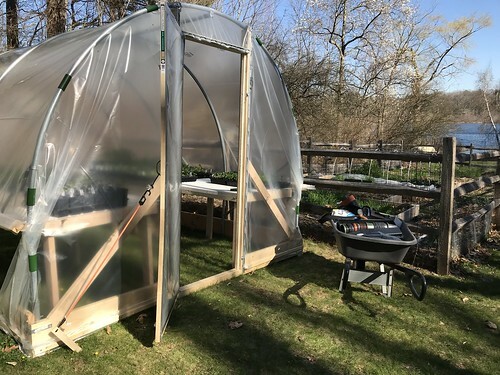 The greenhouse is running about 60-70F during the day and 40F at night. Perfect for peas, onions, and other cool weather crops. for now, my tomatoes, peppers, eggplants and other warm weather crops are still on my living room floor. I bring them in and out as temps go above 50F. We're building a hoop house today!! 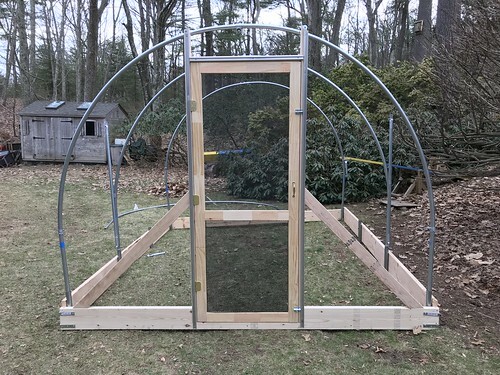 It will be 10x12 ft and will go in the backyard, unheated, and should hold lots of seedling trays. It will be a temporary, spring-only structure to give extra space during April and May. Today is a chilly wet day, so we are enjoying this as an garage project for now. 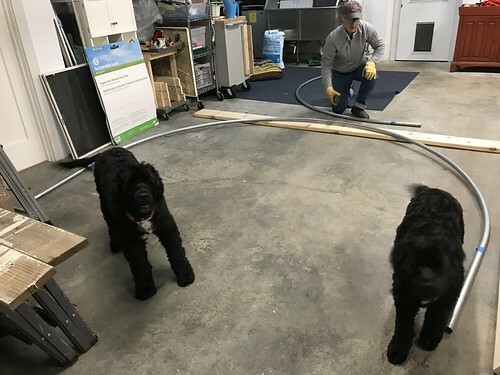 We bent the first hoop and it looks good. So far, so good!! 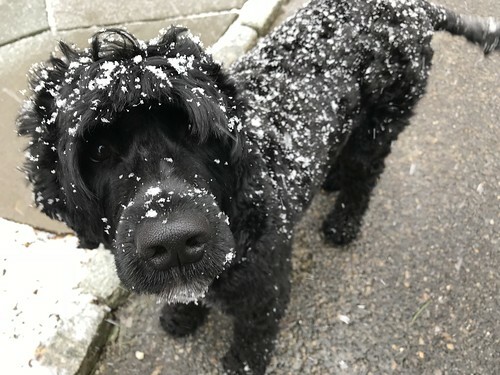 All right all ready with the April snow!!! What a slow spring!! We're still having temperatures in the 30-40's (F). Charley likes it. I'm looking forward to 50-60's. I hear it'll get warm next Thursday. I won't hold my breath. 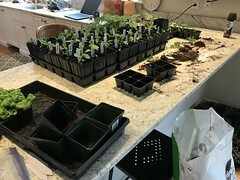 I transplanted my peppers and eggplants into larger pots today. 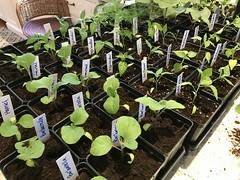 ...a bit of a mess in the kitchen, but I love working with all these little seedlings. 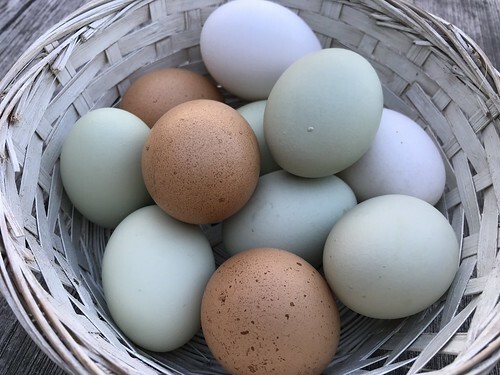 My chickens did a great job and laid all colors of eggs. I don't need to dye them for the Easter basket! White, brown speckled, blue, and green. I boiled up a half dozen for deviled egg Easter appetizers. I'll put them on a platter with my garden arugula.